You can’t just set off. If you want to climb am mountain in Nepal you should check the rules beforehand, otherwise you might experience a nasty surprise. Like the three Spanish climbers, who recently opened new routes on two six-thousanders. 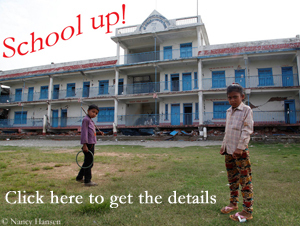 They were under way without permits, now the authorities in Kathmandu are investigating the case. They are facing a stiff fine and a 10-year-ban from mountaineering in Nepal. My compassion for the Spaniards is limited. I find their justification (“We are not pirates, we have left our money in Nepal at all”) flimsy. If you follow this argumentation, you could bilk any national park fee worldwide. Nonetheless there have been some construction sites the Nepalese “mountain management” for a long time, which are allegedly worked on but whose status does not change. The workers were the first. 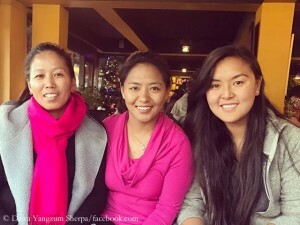 Today nine Sherpas reached the summit of Mount Everest, as first climbers this spring, said Ang Tshering Sherpa, President of the Nepal Mountaineering Association (NMA). The Sherpas belonged to a team including members of several expedition operators, which fixed ropes up to the highest point at 8,850 meters. 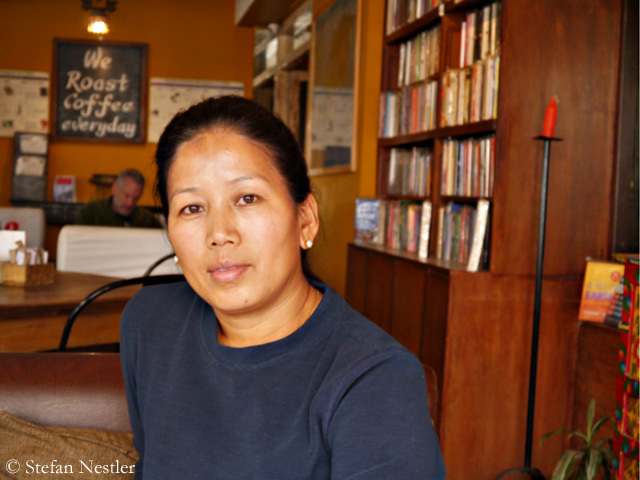 It was the first summit success on the Nepalese side of Everest since 2013. Backing for the Nepalese authorities: The International Climbing and Mountaineering Federation (UIAA) “fully supports the decision to propose more stringent measures for climbers wishing to scale the world’s highest peak, Mount Everest (29,029ft / 8,848m)”, as it said. These measures will include individuals having to prove they have already scaled a peak higher than 6,500 meters, thus eliminating the possibility of novice climbers scaling the mountain. 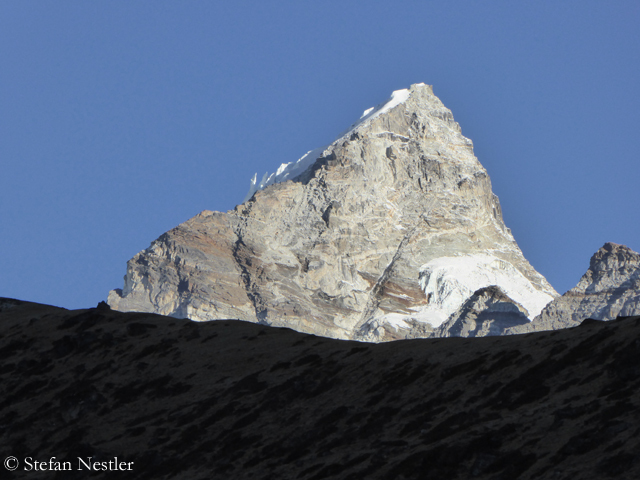 “Everest should become a mountaineers’ mountain again”, said UIAA president Frits Vrijlandt. 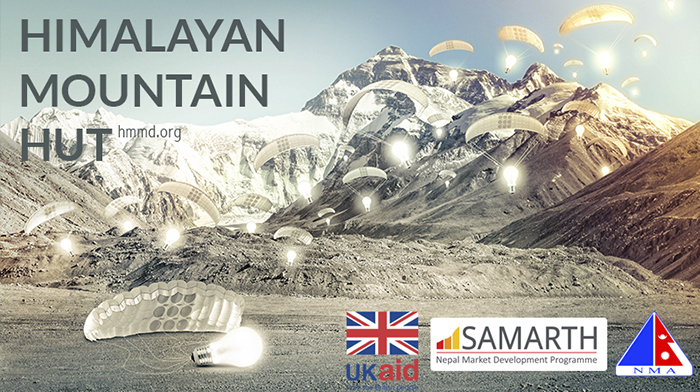 As in the Alps, mountaineers in the Himalayas shall soon find shelter in mountain huts. Not in simple wooden or metal sheds. The new huts shall be functional, low maintenance, not too expensive, but, please, also nice and comfortable. 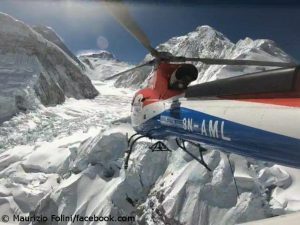 The Nepal Mountaineering Association (NMA), in cooperation with the Nepalese development programme Samarth, announced a competition for architects and designers to find “an innovative high altitude accommodation unit which will be the first of its kind ever to be established in Nepal”. Waiting for the calm after the storm. 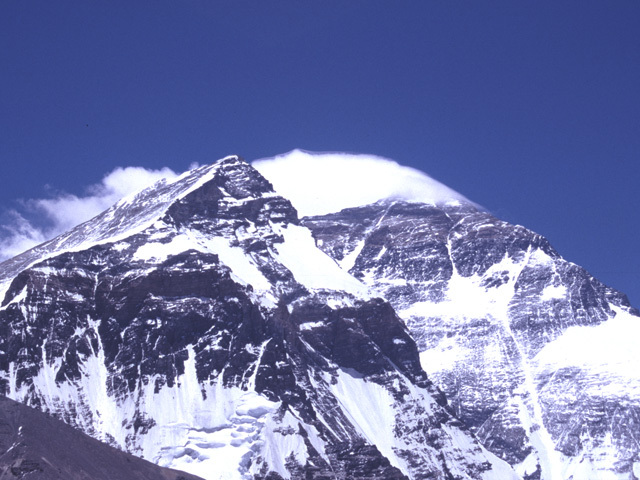 Currently the wind is blowing strongly in the summit region of Mount Everest – with speeds up to 60 knots (about 110 km per hour). 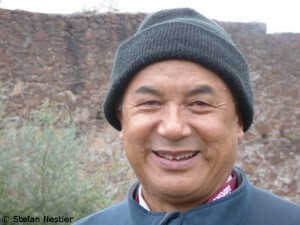 A summit attempt of one of the about ten teams on the Tibetan north side of the mountain is out of question. Not until 16 May a good weather window with low wind is expected. 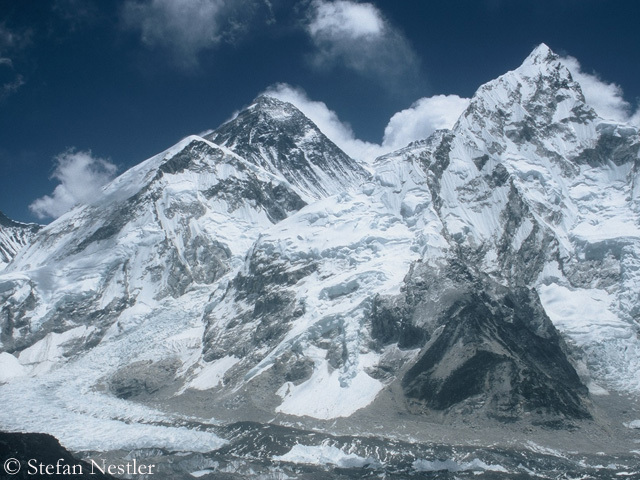 On the south side of Everest, according to the U.S. expedition leader Eric Simonsen, the “Icefall doctors” brought down their ladders and ropes from the Khumbu Icefall. Until next season, the material is deposited in a storage in Gorak Shep, the last permanently inhabited small village near Mount Everest at 5200 meters. Thus there will be definitely no climb to the 8850-meter-high summit from the Nepalese side this spring. This week in Kathmandu, the Japanese climber Ken Noguchi presented on behalf of his environmental protection organization “Seven Summits Actions for Sustainable Society” a donation of $ 100,000 to Ang Tshering Sherpa, president of the Nepal Mountaineering Association (NMA). A news does not necessarily become more true by repeating it again and again. There are reports in many German newspapers that ladders should be fixed at the Hillary Step, the key point of the normal route on the Nepalese side of Mount Everest, to prevent traffic jams. 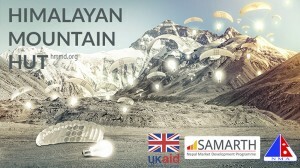 This has been producing headlines like “Nepal makes climbing Everest easier”. 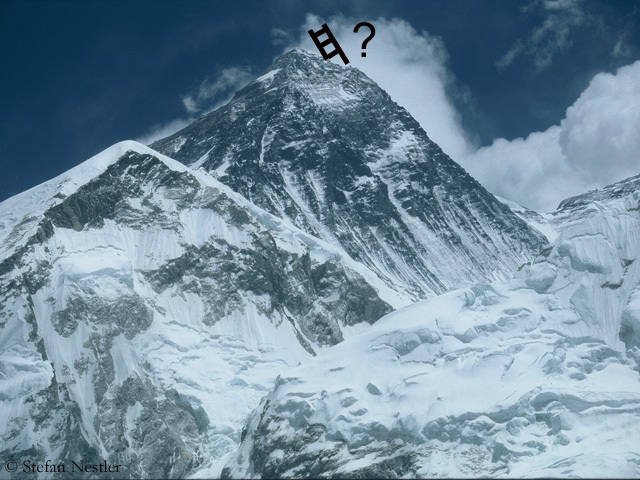 Let us look at the facts: Mohan Krishna Sapkota, spokesman of the Ministry of Tourism in Kathmandu, has told a journalist of a news agency that there were considerations to fix ladders at the Hillary Step. He didn’t say when it should happen. All this is not new.